I bet you are thinking that these can’t possibly be healthy, but they are! 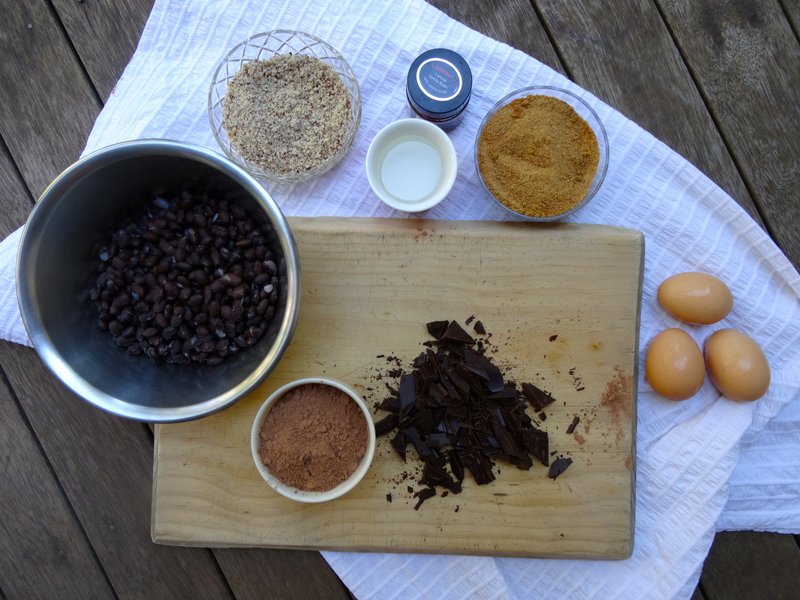 These brownies aren’t made out of your traditional ingredients but rather beans instead of plain flour. This gives them a lovely chewy, moist texture and make them naturally gluten-free. 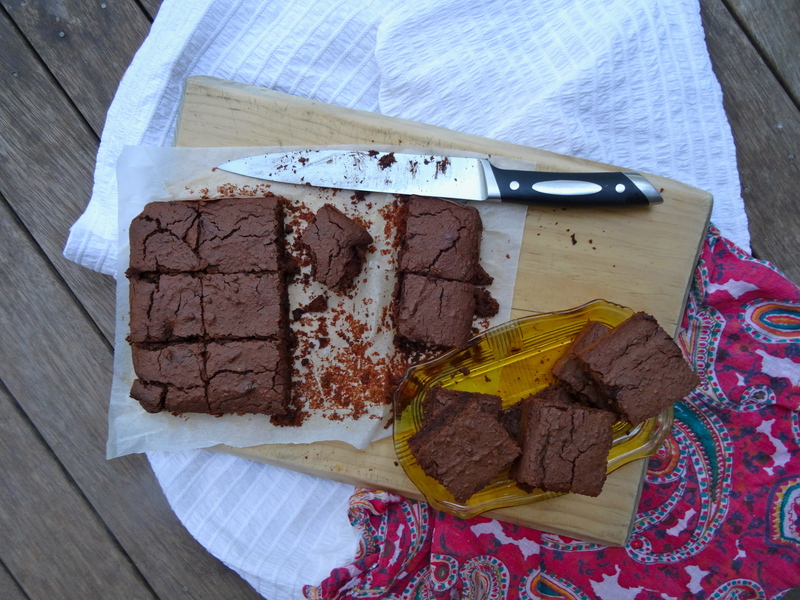 I have not iced the brownies as I found them already rich enough but if you feel inclined to the icing recipe from my raw chocolate brownies would be delicious. They are lovely served with coconut ice cream for dessert or a cup of earl grey for afternoon tea. Please don’t be scared of the beans and give them a try as I promise that you will only taste deliciousness when you devour one. Drain and rinse the beans thoroughly. Place in a saucepan and cover with water, bring to the boil and simmer for 1 hour or until the beans are tender but still holding their shape. Once cooked, drain the beans and let to cool. Pre-heat the oven to 180 degrees celsius. Line a lamination tin with baking paper. Place the beans in a food processor and process until a smooth and creamy paste. Add the eggs, coconut oil and sugar and process again until combined. Add all the other ingredients except the dark choc and process until a smooth batter. Stir through the dark choc. Pour into the lined tin and bake for 30 minutes. They will be lovely and moist inside with a crunchy top. Store in an airtight container for up to 3 days or in the fridge for 1 week. Yum! These look amazing. Love the use of black beans and coconut ingredients! 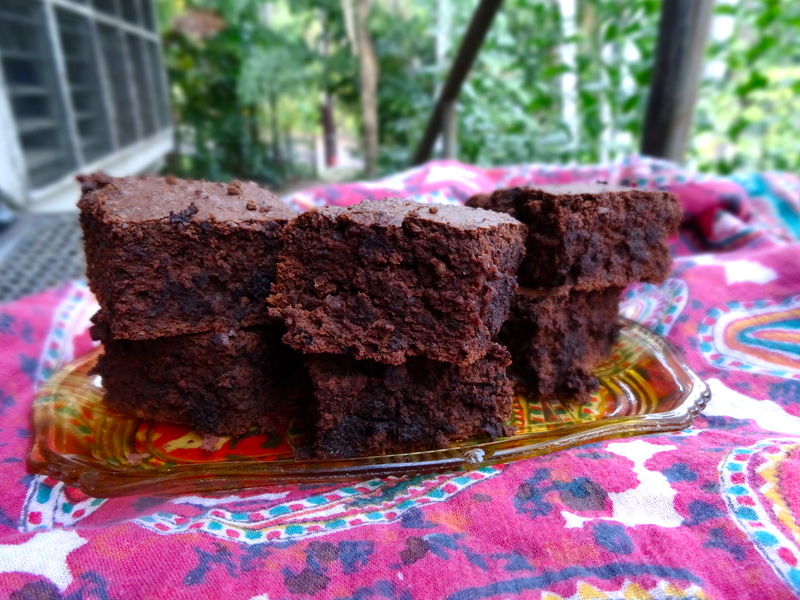 You can’t go wrong with chocolate brownies.